Rehoboth Beach Gardens Town Homes Sell for a Reason! Located minutes from the beach without the big price tag. 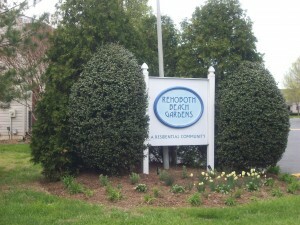 Rehoboth Beach Gardens is a great condo community in Rehoboth Beach, Delware. They are located just off of Coastal Highway (Delaware Route 1) and near the turn off for the boardwalk. It’s less than 2 miles from these great condos to the boardwalk and the beach. These condos sit on a quiet cul-du-sac off of the main highway with easy access to many of the features that Rehoboth Beach, Delaware brings. Each of the 48 Rehoboth Beach Gardens townhomes are 3 bedroom, 2.5 bath units, with four units per building. Built in 1984, these units have a variety of different upgrades as owners have invested in them over the years. Some have high grade hardwood and tile floors, while others have been refreshed with up-to-date carpet and vinyl flooring. The ample kitchen space isn’t your basic galley. Whether you’re feeding a family of four or a hungry gaggle of tourists, you’ll enjoy the kitchen sizes in these condos. 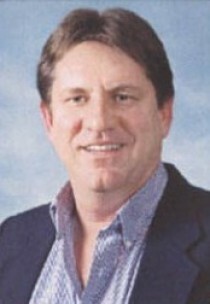 A heat pump with central air conditioning is standard. 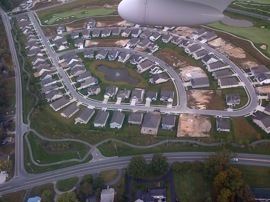 The Rehoboth Beach Gardens community is diverse, with many year-round owner-occupants. However, some units are exclusively used as seasonal rentals. The prime location and generally low prices makes these units sell quickly when they come on to the market. Amenities in the condo complex at Rehoboth Beach Gardens include a community pool and a tennis court. Each unit is allocated two parking spaces. Nearby, you’ll find the Big Fish Grill, the Casa Dileo Italian restaurant and many other other local favorites, all within a short walk or drive. All of your favorite chain restaurants are just down Route 1 as well. For activities, of course the beach and boardwalk is just a mere 1.6 miles away. Cape Henlopen is a short drive if you want more beach and less boardwalk. Jungle Jim’s is right next door, with a great water park and fun race track activities. If you’re in to golf, you can find the Rehoboth Golf Park and King’s Creek Country Club are both a short drive from Rehoboth Beach Gardens.